Vince Russo of Affinity Elite Custom Home Builders, is not only a highly experienced and competent builder, he is also a project management consultant, who personally oversees the day to day activity and progress of jobs of clients who build on their own. When working with Vince, you’ll save money throughout the project, as you’ll receive his discounts on pricing from carefully selected trades people and suppliers. Vince’s extensive experience and formal education in engineering and urban planning will also ensure you avoid costly mistakes and overruns. You will also have peace of mind throughout the project as you will not have to worry about building and safety regulations or local authority requirements – as these items, along with other issues that arise, are taken care of for you. Going it alone is fine, however make sure you’ve got a professional in your corner who is looking out for your best interests. With Affinity’s extensive experience, and personal attention to your needs, you’ll get a smooth-running, no-headache job, from concept to completion. 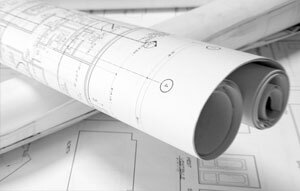 A project sheet is created and given to you prior to the start of construction to guide you through the process of selecting items to be built into your home, such as kitchen cabinetry, counter tops, flooring, lights, etc. The project sheet also includes a list of recommended suppliers to work with and a time line to let you know when items need to be available on site, in order to maintain the construction schedule. At the start of the building project, you will be given a project manual. This enables you to maintain any documents and/or correspondence relating to your home, in an organized manner. Affinity will provide you with a copy of your contract, a set of plans, change orders, project sheets, appliance specifications, etc. Affinity also maintains the same book in-house, so that all correspondence between you, Affinity and any trade contractor is easily accessible.